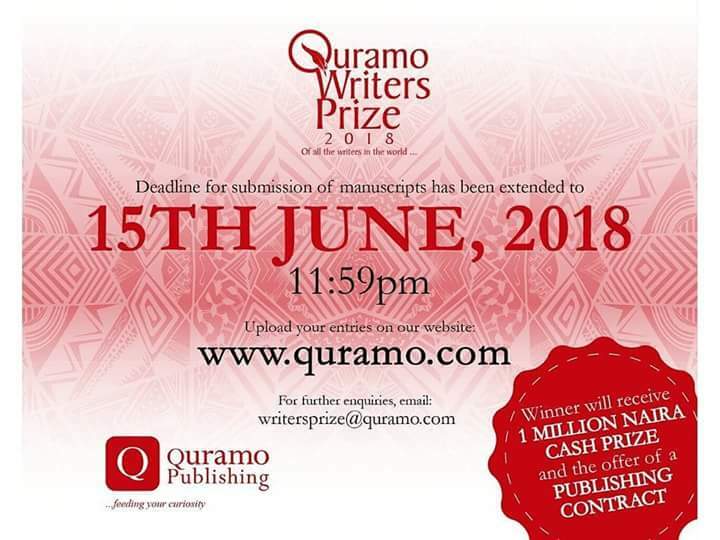 Quramo Publishing Limited announces a call to African writers all over the world to enter their stories for the 2018 Quramo Writers Prize. Writers should submit unpublished manuscript between15,000 – 20,000 words. Please submit MS word documents, double-spaced, Times New Roman font, normal margins. Winners will receive N1 Million naira cash prize and the offer of a publishing contract.